Considering the impacts of our choices on the environment is a growing concept as we begin to see the impact of past behaviours and choices. 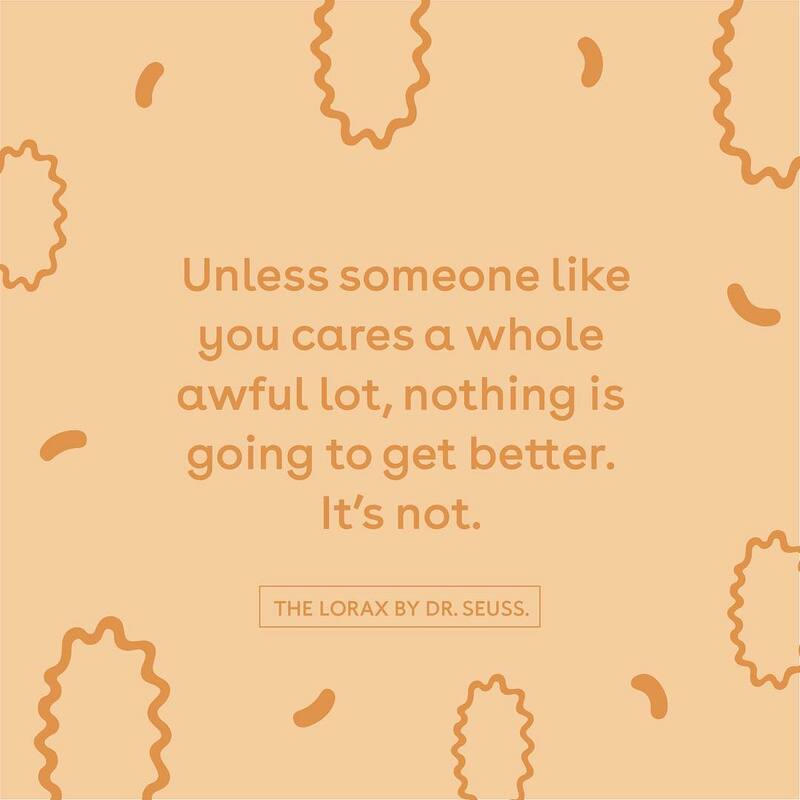 First published in 1971, The Lorax is a light-hearted but cautionary tale with a still relevant and critically important message – we need to collectively take responsibility for stewardship of the environment and make positive choices to help nurture Mother Nature! We believe that each person can make a difference to the planet if they keep the environment in mind. What are your favorite ways to give back to Mother Nature?